It is native to the mountanious regions in Europe and north and west Asia. In India it is found in the hills of North eastern Himalayas. It is extensively cultivated for its wood, tar, pitch, turpentine and was used by the native Americans to prevent scurvy. Mattresses where stuffed with the needles to repel lice and fleas and the ancient Egyptians used pine kernels in their cooking. This evergreen tree can grow up to 40 meters (130 feet) and has a flat crown. The bark is a reddish-brown that is deeply fissured with needle-like gray-green leaves that grow in pairs, orange-yellow flowers and pointed brown cones. Pine Oil has an amazing fresh, sweet, balsamic aroma. Commonly used as a decongestant, it is deemed to be valuable in steam inhalations for the treatment of bronchial infections, colds, flu, catarrh, asthma and sinuses. Chemical constituents: Pine oil has various chemical compounds that include borneol, bornyl acetate, phallandrene, pinene and carene. 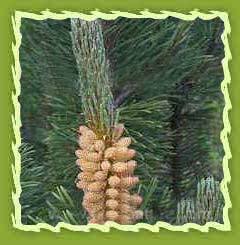 Extraction: Pine oil is obtained by the steam distillation of pine needles, twigs and cones. It contains therapeutic properties like antimicrobial, antirheumatic, antiseptic, antifungal, anti-viral, bactericidal-large spectrum, balsamic, choleretic, deodorant, decongestant, diuretic, expectorant, hypertensive , antidiabetic, cortisone-like insecticidal, restorative, rubefacient, sudorific and tonic-stimulant. Adrenal gland stimulant, analgesic, antibacterial, antibiotic, antifungal, antiseptic, antiviral, arthritis, asthma, bladder infections, bronchitis, catarrh, cholagogue, circulatory stimulant, colds, convalescence, coughs, cuts, cystitis, decongestant, deodorant, detoxifying, disinfectant, diuretic, eczema, expectorant, fatigue, flu, gout, influenza, laryngitis, lice, muscular aches, neuralgia, osteoarthritis, psoriasis, raises blood pressure, rheumatism, ringworm, scabies, scrapes, sinusitis, sore throat and urinary infections. Powerful antiseptic for respiratory tract, balsamic, rubefacient (rheumatic complains.) influenza and all infections of respiratory tract. Pine oil is most useful to relieve mental, physical and sexual fatigue, while having a cleansing and invigorating effect on an area and is great for vapor therapy in a sick room as it promotes healing. It can be used for cuts and sores, scabies and lice and for excessive perspiration while its warming properties help with rheumatism, arthritis, gout, muscular aches and pains and it can stimulate circulation. Furthermore it can help in cases of bronchitis, asthma, catarrh, coughs, laryngitis, colds and flu. It eases breathlessness and sinusitis. It has also been applied to eczema those with laryngitis, lice, muscular aches, neuralgia, psoriasis, rheumatism, ringworm, scrapes and sinusitis. Pine oil is used for cosmetics and toiletries. Pine oil is having a very strong aroma and a little camphory balsamic, is used mainly in cosmetic purposes like perfumery, soaps, shampoos, air fresheners, deodorants and various types of creams. It is also used as solvent for specialty dyes. Pine oil is used as an important ingredient in original pine solution especially made for Pine-Sol® Brand Cleaner. It's the pine oil that gives the product its amazing cleaning power. It cleans, deodorizes and also disinfectants the home. It has also great aroma which makes it more demanding. The oil is used to scent a number of household and personal care products such as room sprays, detergents, vaporizer liquids, cough and cold preparations and masculine perfumes. Pine oil is used in various industrial purposes. It is used in coal washeries, for recovery of copper lead, zinc in froth floatation process, paper industry and textile industry. It is also used in making paint, chemicals and varnish industry as an fixative. Pine oil is used in froth floatation process. All copper sulfide ores are concentrated using the froth floatation process. Ground ore is mixed with xanthate reagents which consists of pine, reacts with the copper sulfide mineral to make it hydrophobic in its surface. The sulfide ore is crushed and ground to increase the surface area of the ore for subsequent processing. The powdered ore is mixed with pine oil (the 'collector chemical') and introduced to a water bath (aeration tank) and pure ore is thereby collected. Pine is exclusively used as an ingredient in aromatics, sanitary items and mine dressing due to presence of terpineol content. Pine oil can be made into pesticide for livestock. This pesticide kills pests such as gadfly without stimulating animal body and skin. It is used as adjuvant in textile printing and dyeing, advisable to cotton, woolen, flax, silk and synthetic fiber. Terpineol can be used to produce high quality printing dye leading to evenly and firmly distributed colors with pleasing shines on the dyed textiles. The condensation between A-pinene and formaldehyde generates pinene-based methanol (a mixture of monobasic alcohol and dibasic alcohol). It can be changed into pinene-based methanol-low carbon acid ester (monobasic and dibasic alcohol esters), which is of good compatibility with polyvinyl chloride with no decompositions and coking in the processing and act as a excellent plasticizer. Turpentine can be made into good heat-resistant lubricant suitable for jet engine and cold-resistant lubricant (-70-80oC) suitable for the lubrication of ordnances in cold areas. Warships of US Navy use terpineol in their bottom paint to prevent parasitism of ocean organisms.It can be put as a thin film of terpene resin on newly cast concrete that can shorten the hardening time of it, thus construction quality is assured. Pinane peroxide made from pine oil can be used as evoker for synthetic rubber. Polyether foam, a new kind of insulator, is made by reaction between pineonic acid-ethene ester. Pine oil is a phenolic disinfectant. It is generally effective against numerous bacterial strains and enveloped viruses. It is not generally effective against non-enveloped viruses or spores. Pine oil can be used as an automotive for running vehicles. It act as an excellent lubricant. An excellent raw material for the production of high quality, specialty industrial chemicals such as dimer acids, epoxidized tallate esters and fatty acid esters for cosmetic, polymer and textile applications. Pine oil is used in applications where light color and low rosin content are critical. It is an excellent raw material for dimers, alkyds, and epoxidized tallate esters. It replaces oleic acid in certain applications such as liquid soaps, fatty alcohols, amides, nitriles and formulations where a low titer, unsaturated fatty acids are required. Pine can be used as a synthetic resin since resin made from turpentine include polymerized ¦Á-pinene resin, polymerized ¦Â-pinene, etc. Dipentene, which is a by-product of synthetic camphor, is also an important raw material for terpene resin production. Terpene resin is characterized by high viscosity, good insulation and solubility. Combined with natural or synthetic rubber, it can increase the viscosity of rubber and prevent rubber from aging. It may serve as stabilizer of rubber. Regenerated rubber with terpene resin as an ingredient has improved strength and other properties. In textile industry, terpene resin can increase the fastness of rayon and make rayon water-proofed. Terpene resin can substitute latex for the processing of textile with similar effect. 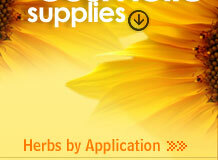 Terpene resin is also used on adhesive tape and adhesive plaster, etc. Pine nut: Pine seeds are popularly eaten as a roasted nut form which is a a popular dried fruit. A pine tree yields 20 to 40 kilograms of seeds which are roasted by mixing them in a special kind of soil in iron containers placed over fire. The roasted nuts are sold at Rs1,500 per 40 kilograms.